eD@HoMe: My Mulready Cover that I got from the eBay! My Mulready Cover that I got from the eBay! Mulready covers are elaborated decorated, pre-paid envelopes issued in the UK in 1840, at the same time as the Penny Black, the world's first postage stamp. Issued in both one-penny and two-penny denominations, the Mulready were regarded by many people of the time as an embarrassing Folly. Apparently their elaborate, fanciful design was considered paternalistic and condescending, hence they saw little use, and were withdrawn, but are popular collectibles now. 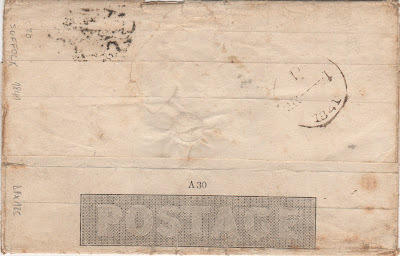 They are essentially the earliest stamped envelopes. Rowland Hill, their sponsor (and the man generally consider the inventor of the postage stamp), expected them to be the primary vehicle for letters, and issued stamps as well almost as an afterthought. But the public preferred stamps. Most of the Mulready stock had to be destroyed, making them rather scarce today. Glad to find your blog! 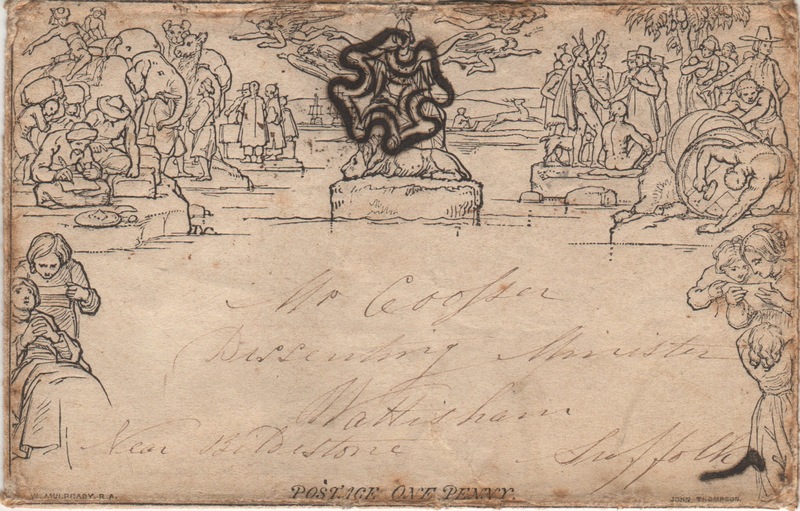 Many years ago, a collector showed me his Mulready Covers with Penny Black stamps affixed with cancelation marks. That was before easy digital photography, so I don't have an image now. Hope to visit your site again. Like you I collect FDCs (US,UN,France), Topicals (volcanos, undersea life) and whatever catches my fancy. An Awesome U.S. Merchant Marine Cover! A lovely registered cover from Malaysia! Veteran Motor Cars Cover from Slovakia! A registered letter from Argentina! A registered letter from Israel! Hello! 2 Lovely Slovak covers to share! An awesome cover from Lithuania! 2011 Census of India cover! Chinese classical literature FDC from Taiwan! A magnificent cover from Dubai! African Animals Cover from Poland! An Owls FDC from Taiwan!